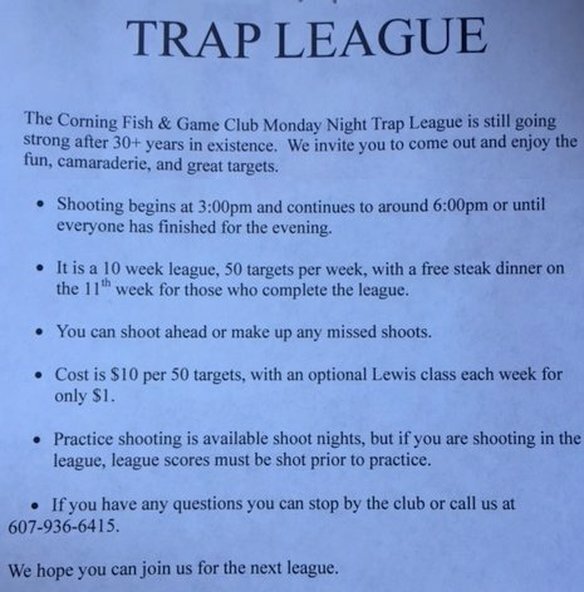 The Corning Fish And Game Club Monday Night Trap League is still going strong after 30+ years in existence. We invite you to come out and enjoy the fun, camaraderie, and great targets. If you have any questions you can stop by the club and ask a member about the league or call us at 607-936-6415.